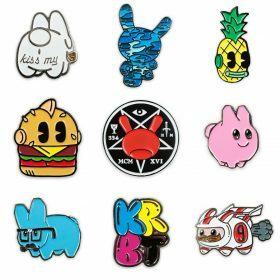 NEW Pinning & Winning Enamel Pin Series Now Available on Kidrobot.com! It’s time to exercise your right to robot! 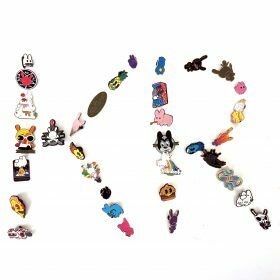 Kidrobot is proud to announce the release of “Pinning & Winning,” an enamel pin blind box series featuring new Kidrobot themed designs. The series is available in select retailers worldwide and on Kidrobot.com. 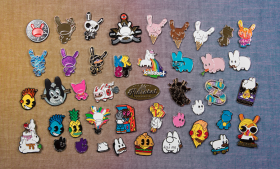 Kidrobot is back in the accessories game with this new enamel pin blind box series. 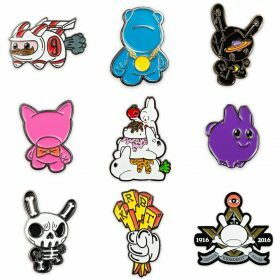 Featuring all new designs of our Dunny, ‘Bot Head, Labbit and a few of their friends! Collect all 40 of them to pin it and win it!